In this week's Martin & Sylvia story, “The Sick and Tired Day,” it's the third day of rain in a row, and brother and sister are sick and tired of it. Nothing sounds like fun, until Momma suggests they have a “Sick and Tired” day. What’s a “Sick and Tired” day? A day to do things they would only do when they are ‘sick and tired’ of every thing else. Suddenly morning play, snack time, lessons, lunch, and even clean-up time becomes a game of finding things they have never done before. While the truly great chefs of the world make masterpieces with different flavor combinations or preparation techniques, when you're trying to change things up for children I often get more mileage out of simply playing with presentation. Vegetables with dip in cute mason jars or cupcake holders. A few different kinds of berries skewered together to make a fruit kabob. A favorite kind of sandwich cut into a train shape with a cookie cutter. If you can look at your kitchen utensil drawer with creative eyes, there's a whole world of fun snacks and meals that you can clever up. Another thought? Make mini food. These tiny taco shells take just a few extra minutes to cut out and bake, but they're so cute for little hands. Below, I've filled ours with the comfort-food, Midwestern fixings of my childhood, but you should stuff them with whatever you like. As with any “Sick and Tired” day food, you also simply must call them something fun. My five-year-old and I had some very intense discussions about the naming of these tacos — Fairy tacos? Troll tacos? — but, in the end, simple alteration won out. 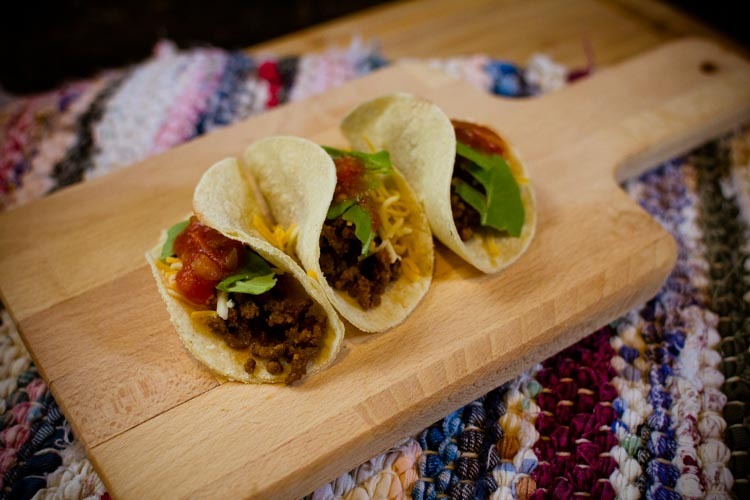 Using a biscuit cutter or wide-mouth mason jar lid, cut a small circle out of each tortilla. 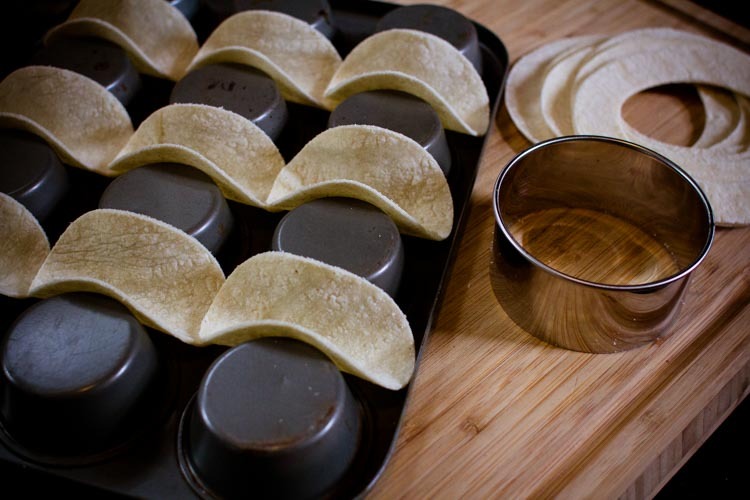 Spray the bottom of a muffin tin with cooking spray, then fold the tortillas between the muffin cups to make taco shell shapes. Bake the shells for 10 minutes, then allow them to cool completely to harden up. 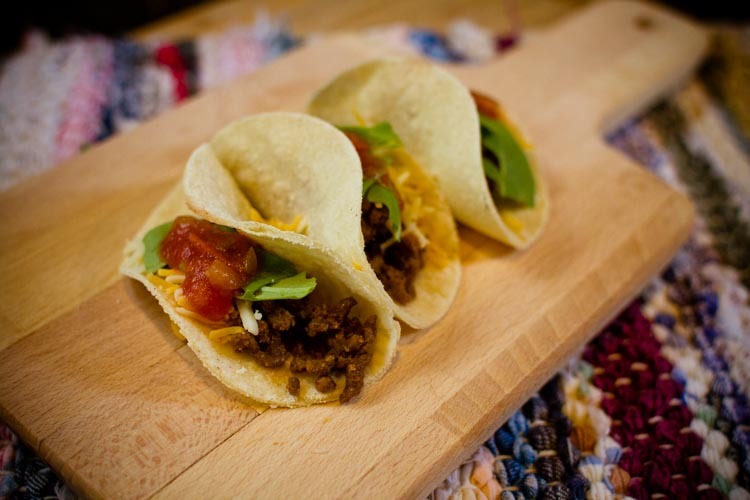 Once the taco shells are ready, spoon in the fixings — a little seasoned meat, cheese, lettuce, and a dab of salsa for each. Enjoy them immediately!